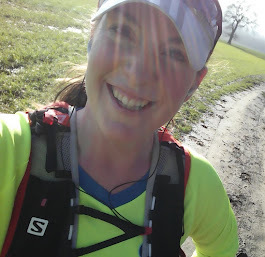 These days I call myself a runner...: Can you help me find my running mojo?? Another day, another hour and a half lie-in...oh dear, oh dear - really must try harder! For some inexplicable reason, this last couple of weeks I've got really bad at actually getting up when the alarm goes off and going out for a run or to the gym. After "restarting" my blog yesterday, I was determined that I would get up early this morning and go for a run with a renewed vigour and enthusiasm, enjoy the thrill of being the only one out on the streets, and relish that feeling of being warm from the effort, despite it being so freezing cold (was probably about -3oC this morning). But no. Again. The alarm went off and I rolled over and went promptly back to sleep, not getting up until I absolutely had to, to get to work on time. If this carries on, my PB attempt at my next race (12th December, Bedford Half Marathon) is going to be a disaster. But I really have no idea why I'm feeling like this - usually I'm up 5 minutes after the alarm, and although I don't enjoy that at 5.30am, I do enjoy the run and the temptation of getting out there is enough to get me out of bed. Seriously though get yourself a Philips Wake Up Light. Expensive but soooooo much easier to get up on winter mornings.